As society faces rapid changes and developments, it’s the illustrator’s responsibility to represent marginalized groups in an inclusive and respectful way. It was about three years ago, long before I started working as an illustrator at Wix, when I first realized why and how representation in illustration is significant. I was working on a drawing of three women bathing in nature. It wasn’t commissioned for a client or anything like that, so my general approach was probably more intuitive. When a friend of mine saw the drawing, she praised what in her opinion was a profound change in the way I portrayed women, compared to my past illustrations. According to her, I drew much fuller and more realistic female figures. That notion caught me by surprise. I looked back at my old sketchbooks to see if indeed what she said was right, and to my wonder, I also noticed the change. It wasn’t one of content or technique, but rather an evolution in my awareness to the illustrator’s decision-making process. In fact, my friend’s comment was a lightning strike that made me understand something deeper about the important choices we make as illustrators every time we pick up a pen. The act of refining an idea into an illustration is never a simple task. In a world of political correctness and identity politics, it is becoming even harder. In that sense, the work of an illustrator can be very similar to that of an art director. In one of my classes in design school, we learned about “mise-en-scène” – the arrangement of scenery and stage properties in a play. It is the sum of all questions and decisions a director has to make in order to convey an idea in the best way. With drawing, the illustrator takes the role of the director and has the freedom to imagine not only the scene, but also the world around it. That’s where problems usually surface. Since illustrators have only one scene with which to communicate an idea (unlike comic strips or graphic novels with multiple scenes), the questions they must ask themselves in the process become more crucial. The choice of what to show, who and how, often provokes deeper thought. One of the first questions illustrators must ask themselves is what type of illustration is at hand. Is it a decorative, informative or interpretive piece? A decorative illustration has a higher aesthetic value and its purpose is mostly ornamental. An informative illustration serves as a mediator to the world and is meant to communicate objective information. Most illustrations I work on fall under the third category – interpretive, or in other words “illustrative” – that incorporates the two previous types in an attempt to convey an idea or message while maintaining nice aesthetics. The concept could be either that of the illustrator, a client or an author of an editorial text. Illustrative works invite a voice into the work process and is where illustrators should consider asking another series of important questions, such as: how open is the brief in front of me? How much space do I have in this work to influence perceptions and relay new ideas? What can I do with this work to make an impact, as much as I can, on the world I live in? I’d like to demonstrate the importance of asking these questions by examining the works of illustrators that chose to consciously tackle important social issues with their projects. 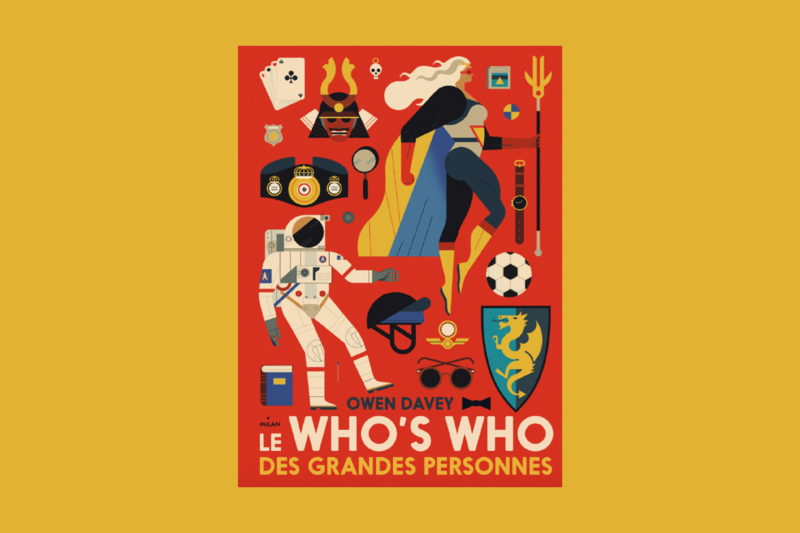 Last year, UK-based illustrator Owen Davey released “Le Who’s Who Des Grandes Personnes”, a picture book in which he illustrates different professional figures. One might think this is classic informative illustration work, a concept so clear it’s on the verge of being banal. But Davey’s well-thought-out choices throughout the book makes this project culturally valuable. The first noteworthy choice is the sheer number of female figures. While in an ideal world this shouldn’t be a conscious effort, it is clearly a choice an illustrator should be aware of. And Owen Davey made it his point to do so, especially when noting the unconventional variety of female figures: a professional skier, doctor, soccer player, photographer, archaeologist and much more. One can argue that it’s a given in the real world to have females in these professions, but it’s far from representing reality, which makes Owen Davey’s unconventional choice an important one. While I think this project could have gone even further with its influence and turning representation and stereotyping on its head, I also believe his contribution to the subject of gender roles is immense. An additional point worth mentioning in Owen Davey’s work is the subject of diversity when it comes to body types and skin tones. Throughout the book, he makes subtle creative decisions that delicately perpetuate positive social change. These are all choices that some might perceive as natural for an illustrator, but in fact, these aren’t always the go-to solutions, and re-examining ideas makes it worthwhile for both the illustrator and the viewer. 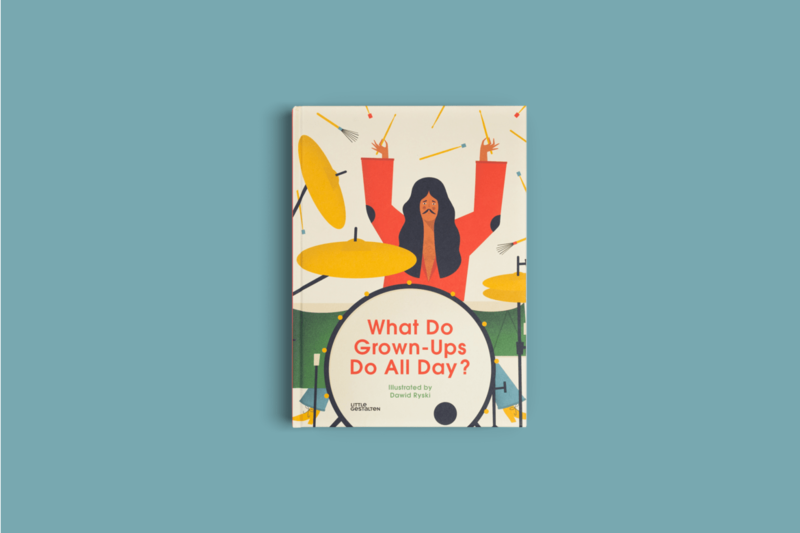 Another illustrator dealing with gender representation in the professional world is Dawid Ryski with his 2016 children’s book What Do Grown-Ups Do All Day? This time, the interest comes in examining the illustrator’s choice given the audience at hand. By choosing to break the mold of male vs. female roles, Dawid Ryski manages to educate his young readers, present them with new and diverse opportunities and help shape a more tolerant world from a young age without forcing his agenda too harshly. Virginie Morgand’s book by the same name is worth mentioning as well, containing an unexpected and extremely interesting variety of professions. Both illustrators were probably inspired by the spiritual father of the genre, Richard Scarry, with – again – the same titled book. While Richard Scarry tackles representation issues by using animals instead of people, he perpetuates other older stereotypes, such as a male cat rewarding his female partner with a gift after she cleaned the house well. It only goes to show that as the times are changing, illustration should change with it, if not lead by example. Playing with gender reversals in illustration – if that’s what you’d call a female doctor – is a good starting point for the modern progressive illustrator. But we all must push further and challenge representational norms as much as we can. Taking the extra time to put effort into thinking about each project and identifying an opportunity in every choice is always worthwhile. Creating an intentional composition of figures can be utilized to address social and gender-related issues. An illustrator working on a board meeting scene can actively choose to make it male-centered, or see it as a platform to give women a stronger role. Even if they are required to place a male figure in the center, the illustrator can still control the variety of the additional characters, not just with gender but with all aspects of diversity. There’s no easy formula and it’s not a matter of science, but an opportunity to reflect your own perspective and values with the platform that’s available to you. There’s a natural tendency to draw a clear correlation between a product’s guidelines and the illustrator’s creative freedom that follows. I used to think that the clearer the guidelines, the less freedom I have as an illustrator. With time and experience, you come to realize that it’s not just about providing a service for a client. It’s about developing a language that is unique to you, bringing attention to important issues, and shedding light on things that matter to you. Not as a substitute to the brief, but as an added value. Each illustrator needs to consider how they make things known to others from tone to composition. I realized that making this shift is not something you can do with every job you take, or every client you have. But it’s a role illustrators must play, as the mediators that we already are. We must educate ourselves about principles of semiotics, become a bit more connected to the world around us and try to evoke change when we can. On top of that, we must walk the thin line between demonstrating sensitivity without self-censorship. Not easy, but a huge opportunity we can seize everytime we pick up the pen.